I am going to do my best to cook every day this week. I should be able to manage just fine as I am sticking to the familiar with no new recipes. I have a placeholder for what I hope will become a regular Friday occurence – a family picnic at Zilker. I think I can keep it going if I commit to keeping the food easy so it shall most likely consist of lots of snacks, lots of liquids and sandwiches. Enjoy the week and I’ll do my best to post my week’s progress via tweets (@aneelee). P.S. The picture above is from our frolic out at the Blanton Musuem on the first day of Spring. 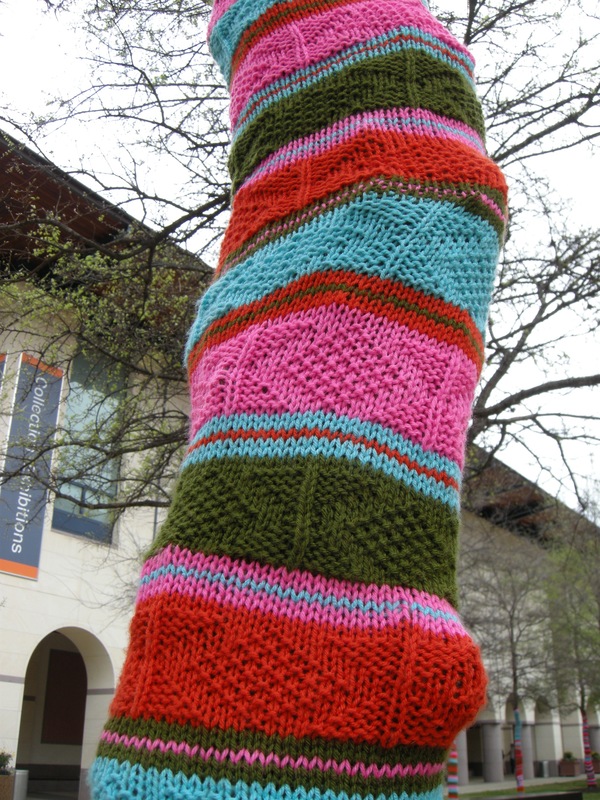 They’ve extended the installation – Knitted Wonderland – through this coming weekend and it is worth a gander. Something about it just makes you want to skip and throw your arms up in the air – a feeling I wish we, as adults, embraced more often.